Welcome to The Brunswick Volunteer Fire Company Inc.
Chief: George R. Clary, Jr.
Friday night hall rentals are now available! 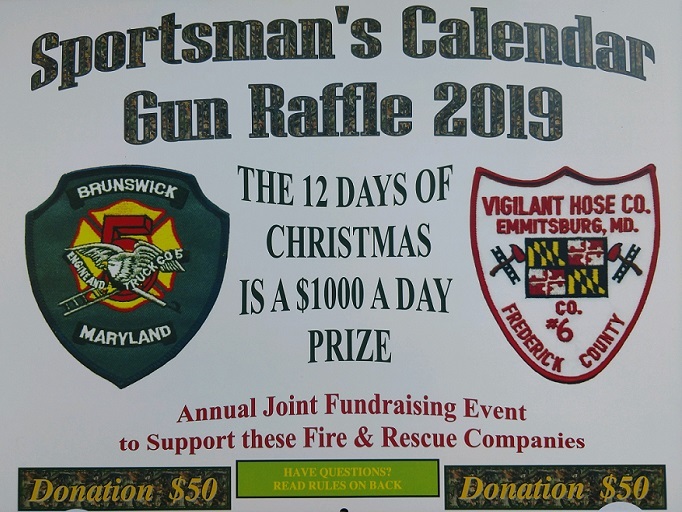 The Brunswick & Emmitsburg Vol Fire Companies are the original Sportsman Calendar creators. Our calenadrs have been for sale for over 10 years. Please continue to support the Brunswick and Emmitsburg Vol Fire Comapnies with this fundraiser. Thank You. Click HERE for more infomation on upcoming events.